We can do the same thing in Java by writing ower own program for doing LDAP search and then LDAP bind but as I said its much easier and cleaner when you use spring security for LDAP authentication. Along with LDAP Support, Spring Security also provides several other features which are required by enterprise Java application like Role-based Access Control, SSL Security, encryption of passwords and session timeout facilities. Before getting deep into LDAP authentication on Active Directory, let's get familiar with some LDAP term because most of the time user is doing it the first time and they are not very familiar with typical LDAP glossary such as Dn, Ou, Bind or search etc. Dn - Distinguished name, a unique name which is used to find the user in LDAP server e.g. Microsoft Active Directory. Bind - LDAP Bind is an operation in which LDAP clients sends bindRequest to LDAP user including username and password and if LDAP server able to find user and password correct, it allows access to the LDAP server. Search - LDAP search is an operation which is performed to retrieve Dn of the user by using some user credential. Root - LDAP directory's top element, like Root of a tree. BaseDn - a branch in LDAP tree which can be used as a base for LDAP search operation e.g. dc=Microsoft,dc=org"
If you want to know more about LDAP check this link it has detailed information on LDAP. There are two ways to implement active directory authentication using LDAP protocol in spring security, the first way is a programmatic and declarative way which requires some coding and some configuration. On the other hand, the second cond way is an out of box solution from spring security which just requires configuring ActireDirectoryAuthenticationProvider and you are done. we will see both approaches but I suggest using the second one because of its simplicity and easy to use a feature. Add the following configuration into your spring application-context.xml file, I would suggest putting this configuration in a separate application-context-security.XML file along with other security-related stuff. This configuration is self-explanatory but briefly few lines about manager-dn and password, LDAP authentication on the active directory or any other LDAP directory is performed in two steps first an LDAP search is performed to locate Dn(Distinguished Name) of the user and then this Dn is used to perform LDAP Bind. If the bind is successful than user authentication is successful otherwise it fails. Some people prefer remote compare of password than LDAP bind, but LDAP bind is what you mostly end of doing. Most of the Active directory doesn't allow Anonymous Search operation, so to perform an LDAP search your service must have an LDAP account which is what we have provided herein manager-in and manager-password.property. Your Service or application bind itself with LDAP using manager-dn and manager-password. That's complete the LDAP login part. Now, let's move to next part of configuration LDAP authentication provider. This section specifies various authentication provider in spring-security here you can see your LDAP authentication provider and we are using userPrincipalName to search user inside Microsoft's Active directory. Now a small piece of coding is needed to pass the userPrincipalName and authenticate the user. Directory doesn’t transparently handle referrals. This fixes that. you can also use sAMAccountName for the searching user, both userPrincipalName and sAMAccountName are unique in the Active Directory. What is most important here is that it has to be full name e.g. name@domain like jimmy@stockmarket.com. The authenticate() method will return true or false based on a result of the bind operation. Btw, if you want to learn more about LdapTempalte class then I suggest you check Learn Spring Security MasterClass by Eugen Paraschiv, which is a comprehensive course and covers Spring Security 5 as well. The second approach is much simpler and cleaner because it comes out of the box, you just need to configure LDAP server URL and domain name and it will work like cream. This configuration will both authenticate and load all the granted authorities from LDAP like a group which you are a member of. This is integrated with spring security login element also. If you are not familiar with GrantetAuthority and Access Control List in Spring Security then I suggest you go through Learn Spring Security course by Eugen Paraschiv, which covers this topic in good detail for both XML and Java Configuration. This example is based on spring security 3.0 and I was using spring-ldap-1.3.1.RELEASE-all.jar and spring-security-ldap-3.1.0.RC3.jar. If you don't know how to download Spring framework JAR files, follow the steps given in this Spring Framework JAR download Guide, which explains how to download Spring framework and other related JAR from Maven Central. you need to be very lucky to complete LDAP authentication against Active directory without any error or exception, here I am listing down some common error which I encountered and their solutions for quick reference. LDAP Browser: Having some tools to look data inside LDAP directory is best it gives you some visibility as well as means to browse data in LDAP. It's called as LDAP browser and there are a lot of open source LDAP browser available in web e.g. jexplorer. you can browse and see data inside Active Directory by using LDAP browser. This works perfectly to implement LDAP authentication against Microsoft active directory. but one thing you might want to put attention is that with LDAP username and password travel to LDAP server as clear text and anyone who has access to LDAP traffic can sniff user credential so it's not safe. One solution is to use LDAP( LDAP over SSL) protocol which will encrypt the traffic travels between LDAP client and server. This is easy to do in spring-security what you need to change is the URL instead of "ldap://stockmarket.com/" you need to use ""ldaps://stockmarket.com/". actually, a port for LDAP is 339 and for LDAPS is 636 but that's been taken care by spring in the second approach, in the first approach you need to provide this information. What problem you may face is "unable to find valid certification path to requested target"
The reason of this Exception is simple, Certificate returns during SSL handshake are not signed by any trusted Certification Authority(CA) which is configured in you JRE keysotre e.g Verisign, Thwate, GoDaddy or entrust etc. Instead, Server is sending a certificate which is not known to JRE. To solve this problem you need to add certificates returned by Server into JRE's keystore. Btw, if you are confused between the key store and trust store then please read my article difference between keystore and trust store in Java to first learn about it. Nothing surprising, I use an open source program called InstallCert.java, just run with your LDAP server and port and it will try to connect LDAP server using SSL and first throw same "PKIX path building failed" and then Certificates returned by LDAP server. We are done, now if you try authenticating against LDAPS you will succeed. There are many other approaches to perform LDAP authentication against active directory even without spring security by using Java. but I found spring-security very helpful so consider using it for your security requirement. let me know if you face any issue during LDAP login and I'll try my best to help you. What is SecurityContext and SecurityContextHolder in Spring? How to enable Spring Security in Java Web Application? How to enable HTTP Basic Authentication using Spring Security? How HttpBasicAutentication works in Spring Security? What I like in this spring ldap tutorial is clear example. spring ldap example is very clear and step by step in both way.I agree implementing ldap authentication in Java using JNDI is lot tougher than spring. Prior to spring security there was no standard way of doing ldap authentication in Java. though ldap authentication using JNDI and Java was still possible it takes lot of time to get settings right and troubleshooting. This kind of code example for ldap authentication makes task lot easier. going forward spring ldap and Java is way to go. How can we do ldap authentication without spring security but still using spring. I think there is an spring ldap api called spring-ldap which provides ldap authentication functionality , correct me if I am wrong ? I was looking for some spring ldap integration code example and found your post. its amazing man I am thrilled with detailed description and error handling. thanks for your effort on this important topic of spring ldap integration. Excellent Spring security ldap example. I was looking for an spring security ldap sample to get myself started in spring security and I come to you nice blog.Thanks for your spring security ldap tutorial and other java stuff. Good job keep it up. spring-security-ldap-3.1.0.RC3.jar actually requires spring security 3.1, which in turn requires a few other 3.1 jars. otherwise, good tutorial, thanks! Nice ldap authentication sample. keep it up. What I like most is SSL part and how to authenticate using SSL in Active directory. Indeed without SSL ldap authentication is completely insecure and anybody can gain access to user credentials including password. Does anyone know how, using ActiveDirectoryLdapAuthenticationProvider, the authorities that the user has are made accessible? Does anything else need to be configured? Basically, I want to restrict url access by role, and I want to ensure that the roles are available and ready to use within my Spring application context configuration. 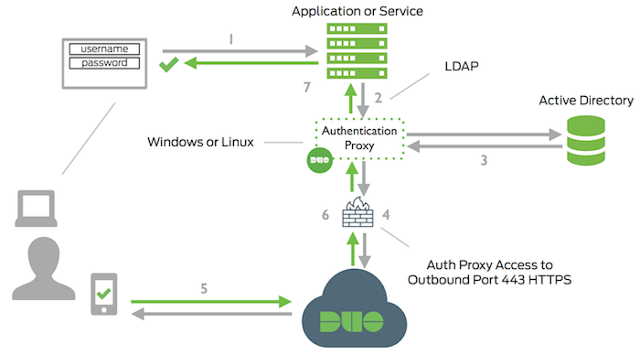 This is a nice tutorial and explains well how to use LDAP authentication. Please let me know if any one can suggest other better approach. I’m setting a bind from spring ldap to ADAM repository, it’s works when you use a ADAM account and simple authentication but I need do the bind with a windows account (LSA). Hi, I am getting java.net.UnknownHostException and javax.naming.CommunicationException while deploying my spring security application on Websphere Application Server 7.0 (WAS). Application was running fine on Tomcat 6.0 and Tomcat 7.0 but giving following exception while deployment on WAS. My Question is is there any additional LDAP Setup required on WAS ? I don't think so because LDAP url and domain are already supplied to Spring via Configuration. Please help. @Anonymous, apologies I could reply your comment earlier. glad to hear your problem resolved. would be great if you could post issue and how did you solved for all of us. Earlier i had problems with conf files. there were multiple context files (as in spring-security-tutorial which uses in-memory authentication). Later I removed one of them. The issue resolved. One of the best Spring Security LDAP example, I have seen in web. I really like the Introduction and configuration part and seems easy to configure LDAP in Spring Security by reading your post. what could be the error ?Please help..
Just to add, LDAP protocol has two version LDAPv2 and LDAPv3, in LDAPv3 bind operation is optional and can be done any state of connection. Spring Security uses LDAPv3 Simple bind so it must be encrypted using SSL or TLS because Simple bind sends user password in clear text or plain text. bind operation also pass version of ldap protocol which is typically 2 or 3. While sending bind request you LDAP library should use LDAPv3 is the default version in protocol but not in library. is it possible to use option #2 and get custom attributes from AD like name, CN, phone, email? Is there a way to specify userDN and password or a way to tie up a ContextSource with this setting? How/Where do we specify the userDn/password for the LDAP Bind operation? if user-entered-password is a sha-256 hash, how to use it with ldapTemplate.authenticate? how to use hashed password (sha-256) in the below statement? PartialResultException any ideas how to fix it ? Thanks a lot!!! I got problems with Spring LDAP in AD and finally found my mistake by reading your wonderful post! How to configure multiple search bases? Where is the source code of this example available. I'm quite interested in seeing InstallCert.java code. Hi, I am new in this tecchnology. After declared this configuartion in xml file, what will be the next step? can you please explain in details? Hello Nazibur, you need to include spring security JAR files and once you declare these XML and load spring security configuration file, all done, provided you have got your LDAP configuration right. If you are not sure how to enable Spring security, check my step by step tutorial to enable Spring Security in Java first.